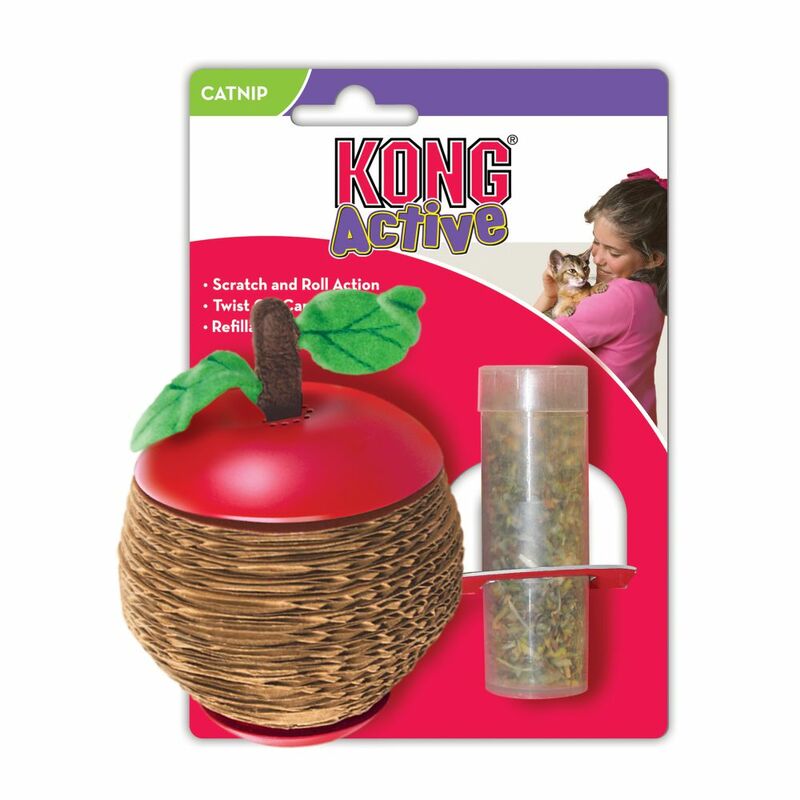 KONG’s new Scratch Apple cat toy combines the fun and action of a catnip toy with the irresistible feel of corrugate scratchers cats love. 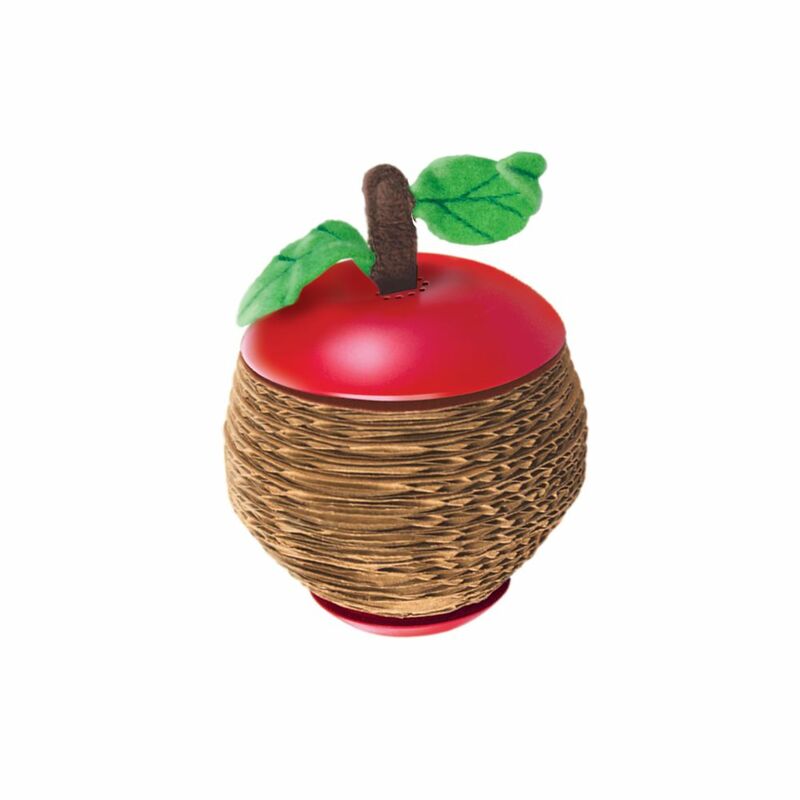 The Scratch Apple features a twist-off top with hollow core for easy catnip filling. Simply twist off top to fill toy with fresh catnip. Vial of KONG Premium North American catnip included.